The short story is, that you will need a “Australian WordPress hosting” account and a good “WordPress Design Theme” to truly blog with freedom attract your audience and grow your traffic to your blog. Making money from blogs is not easy today, it used to be easy at one part of time but now everybody and their dog is in the game. Today the blogging world is kinda saturated with mom bloggers, business bloggers, fashion bloggers, travel bloggers and all sorta bloggers ( my dog is a princess bloggers). So you pick any damn niche and you already got competition. What google says about what a blog is – “A blog is a website, where you write stuff on an ongoing basis” – I really like this simple and to the point definition. Look and search everywhere, but there is no magic mantra or magic bullet for a Sucessful Blog. In addition, google keeps changing the goal posts with annoying algorithm updates that keep bugging SEO’s and bloggers. Every year there is something new with google requirements to be popular in their search engine , like now you need a https website for security, your website design needs to be responsive, you need amp and what not. Its harder and costlier to make money every year. What you should do to become popular online ? You should definitely get your blog a USP (Unique Selling Point) to stay on top of your competition. If you get this right you will get blog viewers, likes and sharing of your content, which will surely get your blog traffic coming back to you on a regular basis. 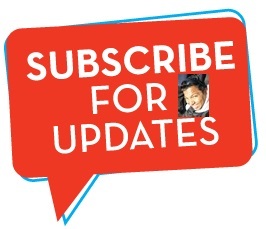 This will also encourage your viewers to subscribe to your email list and also people to comment on your blog, which all creates a buzz around your blog. Trust me people commenting on your posts or on the blog and contacting you via your contact me button is a sure sign of you becoming more popular (or in some cases unpopular) in your blogging journey. When you write quality interesting content better than most other blogs, have a professional looking designed website and you share your top written content in the right social media channels and forums – Your blog will soon get noticed and be on its way to being successful. If all of this happens a lot (people interacting , commenting , likes on facebook, sharing your posts) and it happens more often, then your on your weay to becoming a blogging superstar so to speak and you don’t have to chase money, but the money will chase you sooner or later. This shows people are listening(reading) to you, want to interact with you and you have become bit of a influencer, and companies and brands love that. This is a sure sign of achieving success and if you get all these above tips/hints correct and implement it, you will be lucky and will surely succeed. If your luckier than most other bloggers/instagrammer’s then brands will also approach you. Success surely involves one important thing in these times and that is making authoritative and quality content and getting the word spread about that “Epic Content” you just created to the blogosphere. You do this by getting it shared on social media ( Twitter, Facebook, Instagram, Linked in) and also getting mentioned by popular people of note in your blog niche. Today many people do outreach to amplify their best content and get it shared online and this can work for you as well. Its not hard to do, outreach can be done by yourself or then you can hire an agency to do it. Influencer’s are kinda getting big right now on the Instagram platform. Some popular infleuncers get paid quite well if they have a huge following and can earn even more than a full time job. However Blogging aint getting any easier, so don’t expect the great Matt Mullenweg of wordpress or Matt cutts of google to help you out with this. This job will have to be done by you – by doing the hard yards. There is another option to speed things up, I would recommend learning from a experienced blogger who is already earning income online. I have got an online tutorial if you want to get started today atleast getting your blog online as a start. In relation to making money online, I would recommend Rosalind Gardner who is a super affiliate and has helped many into their online affiliate marketing careers, she has an in-depth affiliate guide called – “Super Affiliate: How I Made $436,797 In One Year which covers how to start Your Own Home-based Affiliate Marketing Business. Keeping on top of competition, also involves churning out regular awesome content, sharing it on social media, doing proper SEO so that the content shines, promoting the blog and updating it regularly to match what google search engine needs(SEO) to keep it ranked high on their search engines. just got published at dailyblogtips.com, so you might wanna check out this extensive post to get some tips on – How to get a successful blog going! Luckily there are quite a few free platforms that help you start out on blogging totally free and so you can start your blog without spending money. Free Blog Platforms is not my recommended way of starting a blog if your really serious about blogging, but if your cash strapped then you can surely take advantage of this method and get started. Most successful bloggers would have used these free bloggin services at some part of time or maybe even when they started their new bogging journey. WordPress.com offers free as well as paid options for a website, but if your after self hosted which is most suitable for making money with affiliate offers then the below offer might be more useful. With Bluehost WebHosting you get both Hosting and domain name , plus a 1 click install option to get your wordpress blog installed quickly. The WordPress CMS is recommended, because it is one of the most versatile website software which give you 100 % flexibility in design. It also has awesome flexibility in functionality which can be added if needed with heaps of plugins , WP themes and tutorials available online. Your website can be designed with easy install themes to make it look , just like any professional website. It is also one of the easiest to use blog/website software. Bluehost hosting , I recommend because I have had blogs on their servers for ages, besides they also have a 1 click install which is so easy to install a website or blog in minutes, just by following their install prompts. + offer, $3.49/mo for 36 months (link here) on the Basic Plan. A self hosted wordpress blog is a website that your run on your purchased hosting account and have full freedom over this website. Most hosting companies provide a 1 click install nowadays to get your self hosted blog set up easily. Getting a self hosted wordpress blog will also avoid the hassle of moving your blog later on which every free blogger does eventually. Because for sure, if you sign up with a free service like blogspot or tumblr or wordpress.com, you will move sooner or later to a self hosted wordpress blog like most professional bloggers do. This normally happens when they realise the constraints and limitations of using a free blog service or getting a blog deleted for a policy violation. However, choosing what blog service you want to start with is totally upto you and so are below are some free blogging hosts listed for you. Tumblr is a mini blogging or micro blogging service and lets you effortlessly share anything, Post text, photos, quotes, links, music, and videos from your browser, phone, desktop, email. These three services are free to use and if you get real popular fast you will have the option of breaking out or branching out from their services to transfer your blog to a paid server. Most people when it is time to upgrade, move to self hosted wordpress platform with their own custom domain name and webhosting. As I said before , if you don’t want the hassle of moving hosts and your blog later when you get more traffic on your blog and start to earn some revenue, then I would recommend for you to sign up with Self hosted blog choosing a hosting company with 1 click install to get your blog started. Here are some price comparisons for hosting companies. However, just starting a blog is not sufficient to make money and the best way to ensure you are doing this the right way is to get the right training right from the start. 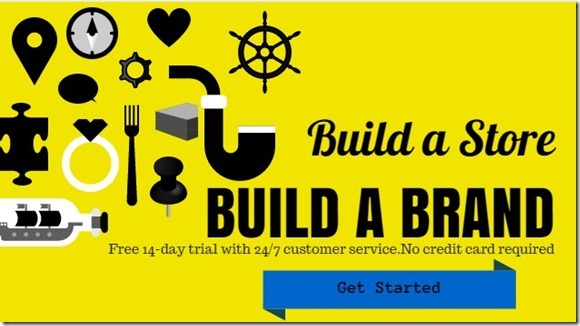 This ensures that you dont have to waste time figuring things out and can start earning money quicker. There are not many brick and mortar university courses that teach you how to earn money on-line and the online courses that are available are for specific niches like social media marketing, web design and on-line marketing. The on-line marketing course available in these universities go though the traditional approach and basic concepts of on-line marketing, but is often outdated as this subject matter changes rapidly. It is best to take a course from a on-line marketing agency that is currently practising this in the market and that is why I recommend Rosalind Gardner who is a super affiliate and has helped many into their online affiliate marketing careers, she has an indepth affiliate guide called – “Super Affiliate: How I Made $436,797 In One Year which covers how to start Your Own Home-based Affiliate Marketing Business. There is also Affilorama By Mark ling and click bank university . Clickbank is one of the largest marketplace for digital products and has made many millionaires. These courses, not only provide you training to earn money on-line as a affiliate (selling other peoples products through your blog/website) but also trains you for making and launching your own product and promoting it. 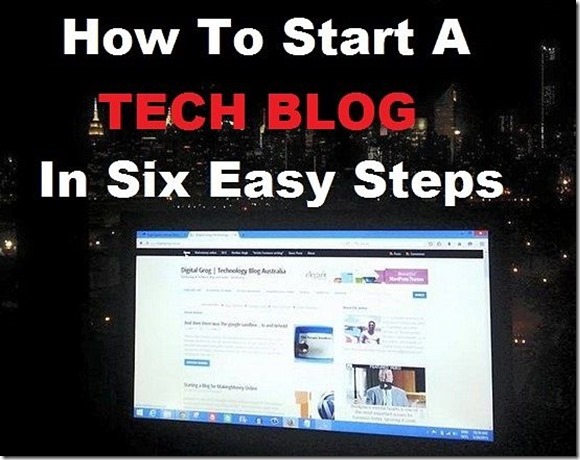 If you don’t have a blog yet and you are ready to get started today with a wordpress website, then you might want to check my tutorial post with step by step instructions on starting a website over here – https://www.digitalgrog.com.au/australia/starting-a-tech-blog-in-six-easy-steps/. This post will give you a step by step break down of how to start your own WordPress blog today with bluehost webhosting. No one is going to give away all their secrets for this one. But i can atleast point you int he right direction. Here are some tried and tested methods to make money with your website. This is one method whihc needs the least effort to make some money, but will also pay peanuts if you dont have much traffic to your blog or if your blog is in a niche where you cant earn much. This is where many blogs earn top dollar, by promoting products in the niche they are bloggin about to their audience. Fashion bloggers can earn thousands of dollars promoting the right brands. Technology bloggers can earn thousands of dollars promoting technology and gadgets. Food bloggers can earn hundreds of dollars promoting products in their niche. I have seen many people in all of these mentioned niches doing anywhere from $2,000 to $40,000 a month in revenue. This is a new trend where people are creating their own products and selling on platforms like shopify – online shops. They are many people not stock/products on hand, but selling stuff online and getting it shipped directly to customers from vendors in china, while making a nice commission with no inventory, this is also called drop shipping. This income stream has taken off in the last couple of years. They are bloggers who write articles on certain niches. example fishing lures. The bloggers then have links to fishing products from amazon on their website. 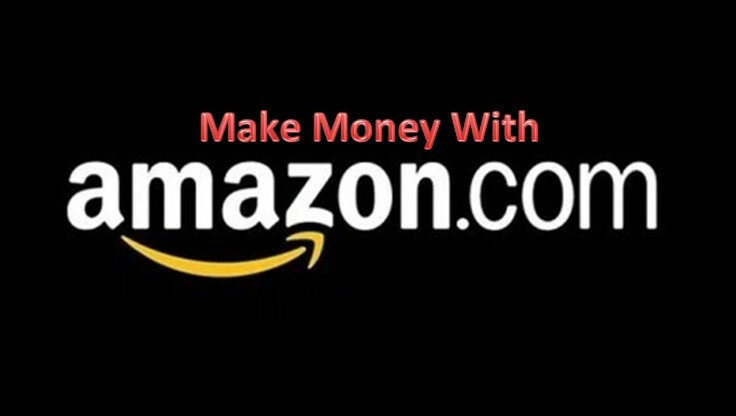 when a viewer purchase a product from amazon, they earn a commission for advertising that product on their website and making a sale. While all these methods are good, there is one basic thing they need to make money – Qualified leads or targeted traffic to your website. If you are getting the right people coming to your website who are interested in your products, you will be making sales. One way to get quick targeted traffic is online advertising with the search engines themselves. I suggest Bing adwords as they are cheaper and more flexible with their ads. Here are some free started coupons worth $50 to get you started. With search engine advertising you can make unlimited money if you get your advertising right. Other methods for targeted traffic is as I have said before – SEO for your website, awesome content on your site/shop or blog, promotion on social media by you or a hired agency – which will get you on your road to success. If all this is not your cup of tea and you would just rather doe something quick and earn money , then maybe you need to check these survey websites out here “Make money surveys – Australia” or iSurveyWorld Surveys (Australia) and just fill out surveys and make some money online. It’s been a great post and you clearly explained all the basic needs required by a blogger at the beginning. I have saved it and also included your RSS feeds, so when I have time I will be back to read much more, Please do keep up the superb work. Staring a WordPress blog to earn money is really a great option. However, the niche should be chosen wisely with less competitiveness. So, keyword research plays a vital role to mark our presence on the web. You are doing a nice job in explaining the basic blogging things for the newbies. Keep doing your great work. This article helps me understand the basics of blogging and how it works, I’ve started s blog but still looking for some blogging resources. The great example of Unique Selling Point (USP) is the Godaddy.com as you have shown in the image. The absolute one! The next point I liked much is the earnings. Adsense and Affiliate both are awesome and genuine that every blogger put trust on them. My developer is trying too persuade me to move to .netfrom PHP. I hafe always disliked the idea because of the costs. on a number of websites ffor about a year and am anxious about swithing to another platform. I have heard very good thingts about blogengine.net. into it? Anyy kind of help would be greatly appreciated! Thanks a ton for sharing ways of start blogging for making money. Great, great read. I thoroughly enjoyed reading about freelancing work. Love this post!! Good day very cool site!! Guy .. Beautiful .. Amazing .. I’ll bookmark your web site and take the feeds alsoKI am satisfied to search out so many helpful info right here within the post, we want work out extra strategies in this regard, thanks for sharing. . . . . . I will pay you $ 5,000 per month or even $ 10,000 a payment. So I need new members to work, help me senior account manager, because I do not have much time to take care of customers. This is a job for the members hardworking and honest, it is not an opportunity for everyone. if you are really interested, you can talk to me. excellent submit, very informative. I ponder why the opposite specialists of this sector don’t understand this. I’m thinking about putting a similar plan into action. Thanks for all the great ideas. Keep it coming! Spoot on with this write-up, I really feel this web site needs much more attention. I’ll probably bbe returning to read through more, thanks foor tthe info! Great Write up and some very useful information for new bloggers looking to create a new website. No doubt blogging on a regular basis is very important for a successful blog. I’d say quality is key for visitors to return to your blog. “SO you pick any niche and you got competition already”. True, this is why you should always choose a ninche that you are interested in yourself, you will have to start learning more about it yourself to offer people unique content which is easier to dedicate to if you are interested in the niche yourself. a perfect mannjer of writing? I have a presentation subsequent week, and I’m at the searfch for such information. Woah this blog page is very useful i prefer researching your content regularly. Carry on the fantastic work! You now know, many persons feel the need game with this information, you can make them significantly. which consists of plenty of helpful information, thanks for providing such data. Other people might have reacted on the quality of image you use. Some text are not readable even when you magnify the screen by holding control and mouse scroll up. But, you put up a good discussion though. But still I am wondering on the source of how blogger will gain money online? Good post. I will be facing some of these issues as well. Been researching for about Thirty minutes and I only now discovered your site. rubbish. Not your problem of course, I simply could not believe it. Good blog post. I’ve got a question. As a blog owner, just how long did it require for your blog to become productive? Likewise what do you enjoy most about blogging?